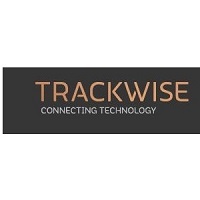 Trackwise Designs PLC (LON:TWD) Chief Financial Officer Mark Hodgkins caught up with DirectorsTalk for an exclusive interview to discuss their interim results for the six months ended 30th June 2018. Q1: Following your recent IPO, you’ve released your interim results. Could you give an update on the progress? A1: Well, obviously it’s quite soon after IPO so there’s not a great deal to report that wasn’t in the admission document. The key message really is we are beginning to execute the plans that we set out in the admission document with regard to improving our capacity and our capability and continuing to trade, I’m pleased to say, in line with expectations that we set out at that time. Q2: In aviation, you have developed work with a tier 1 UK aerospace client, can you expand on this? A2: I’m not at liberty to disclose who it is but we’re working with a global aerospace tier 1 supplier to use the IHT product in some of their products that they supply into the major mainframe aviation manufacturers. Since the IPO, we’ve been fortunate enough to move to the next level of integration with that tier 1 supplier. We are hoping that in the next 12 months or so, maybe a little longer, that will develop to a stage where we have a product that is commercial and ready for sale as a commercial item to the aviation industry and represent IHT’s first installation in a mainframe aviation manufacturer which is one of our key aims. So, we’ve made progress in terms of our integration with that tier 1 supplier towards that goal. Q3: It seems that you’ve continued to invest in your technological development, could you explain what’s behind this? A3: The IHT technology which is based on unlimited length flexible PCB’s, has given rise to a number of other avenues that we can explore. So, we are actively exploring the application of this technology to develop other wiring solutions along the same lines of IHT but with specialist applications. Part of the funding we raised at IPO was designed to be able to invest in that research and development effort and we’ve done that by increasing the size of our engineering team since the IPO. Q4: Having initiated the first continuous vertical plating line, can you explain how this benefits Trackwise Designs? A4: Well, this again is in line with our desire to improve our capability and capacity of our processes here at Ashvale in Tewkesbury and this vertical plating line will allow us to bring in-house a process that we previously had to sub out to a third party. This will, in time, improve our efficiencies, it will make us more flexible to respond to customers’ needs and it should also improve our margins. We’ve just installed it, it’s new, we have used it, it works, and we’ve sold some product but the real benefit of this is in the future when we start getting larger orders for IHT. We’ll be much quicker and much more able to meet their demand in their timescales. 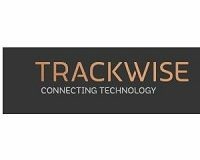 Q5: Looking forward Mark, what can we expect from Trackwise Designs for the remainder of 2018 and beyond? A5: It’s rather like we set out in the admission document really, we had our half-year on which we’ve just reported, actually just before the admission onto AIM so there’s not a great deal of difference with what we said in the document. We continue to trade in line with expectations, we’re executing on our plans for developing capability and capacity and we’re just aiming to keep going steady in line with what we said at the time of IPO.